Tell us the story of your project – What was the impetus? What was it about? Who was involved? How did you begin? Sleeper Creeper was a collaborative creation between Robbie Perry (musician), Annie Callaghan (artist) and Philip Doherty (playwright) and was performed in Townhall Cavan at the end of 2016 as part of their seasonal programming for children. 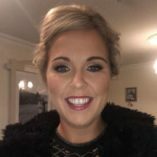 The success of the show duly inspired Joanne Brennan (Arts in Education CMETB) to approach Robbie and Annie and adapt Sleeper Creeper for a pilot project to run in two selected primary schools, one in Cavan and one in Monaghan. The original show was quite complex in its clever use of artistic disciplines. 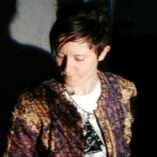 From live and improvised music being layered throughout, the use of loop machines to projected shadow puppetry involving unique, as well as, everyday objects. All of this was performed with no dialogue and told the story of an old and lonely inventor who miraculously creates a living being from parts that he finds amongst junk. Their friendship grows from their collaborative performances and zany situations they find themselves in. Rather than try to create the same performance for young students, Robbie and Annie chose an entirely new story titled, Paddy Red Downey and the Voice in the Dream in which Paddy Red Downey fishes for junk and finds himself transported to a world beyond his wildest dreams eventually hearing an old women’s voice calling him to return home and share his new found wonders with everyone. The Paddy Red Downey and the Voice in the Dream project was easily one of the most effective projects I have been involved in. Initial conversations with Joanne Brennan (Arts in Education CMETB) and meetings with Robbie and Annie entailed planning, organising and ensuring all requirements were met e.g. garda vetting, school space, curriculum linkage etc. Robbie and Annie also met with the children to introduce themselves and explain the project. The ideas were developed as a direct result of the principles of Sleeper Creeper. A multidisciplinary approach to art form and the themes based around recycling and repurposing of everyday materials and junk. The story itself was created as a catalyst for inspiring young minds. 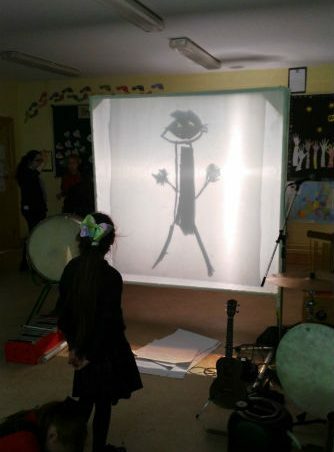 Using the story as an opening for the project workshops, we were able to demonstrate to the young audience aspects of theatre, drama, storytelling, music and shadow puppetry that they would in turn learn to use over a two day period for their own collective performance. The teacher allowed Robbie and Annie to bring the children around the school grounds to examine and collect, in pairs, any objects they found of interest. These objects were then projected through the use of an analog overhead projector and discussed openly and collectively on how their appearances changed with our changing perceptions. This example facilitates a validation process for the individual in what they later view as art and how it can then be manipulated and viewed to help create a story. Then began a separation of the group into two halves. 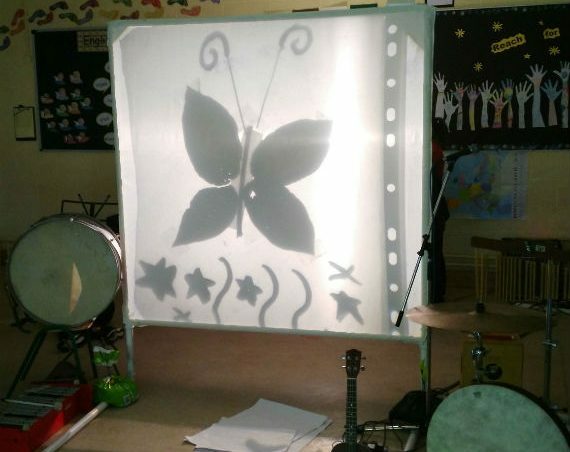 One half facilitated by Annie and the shadow puppetry and the other half by Robbie and music creation as a means to underscore the students very own production. The teacher’s role within this workshop was almost only to observe and maintain any control if needed. It cannot be overstated how important this approach was to the project overall. Conversations and shared opinions with the teacher, revealed aspects and qualities of each student’s character as they worked closely and intensely with the artists that were keenly observed and somewhat enlightening to the teacher. What was your personal experience of the project in terms of successes and challenges? The project itself was quite experimental. We hadn’t taken something as complex as our performance, and adapted it with a workshop in mind ever before. Also, there were many challenges such as time needed for the students to learn multiple skills with a final performance, questions regarding the suitability of their classrooms, rather than a hall for the workshops etc. We were very pleased to find that we coped quite favorably with all these challenges which were also challenges for the schools. The fact that we could work within the classroom meant no upset to the rest of the school in organizing or rearranging scheduled use of alternative rooms. Also, the fact that the hours we put in were arranged for an intense two days consecutively meant a greater opportunity for all involved to focus and achieve a fully immersive creative experience. One of the activities that I felt really supported the children’s confidence with regards to the music aspect was the time in which they were allowed to explore the different instruments. I found that at the age the children were at doing the projects, they were conscious of whether or not they were “good at” something. It can often be hard to try and get them to engage fully in something if they feel it is on an area that they aren’t talented in. However, the vast arrange of musical instruments that were available to them allowed them to try out their musical abilities on them. I found that my class would often associate musical talent as to whether or not you could play the piano etc. However, with the way in which they were able to explore the vast array of instruments and create backing music for a story, it was a whole new side to music for them. It was also something that after we had engaged with in the workshop, they wanted to do it more in class. The more exposure they get to experience this, the more confident they will grow in it. What was significant for you about the project that is worth sharing? Probably the most significant thing for us was the true potential of each and every student to achieve in an extremely short but significant amount of time, an entire production. From inception until final performance in front of an audience, the entire class worked as a team with individuals quickly finding their strengths and how best they could contribute to the group as a whole. It was wonderful to observe, for example, two students that were much happier to be a part of the technical projection work rather than perform music or drama. This revealed for us the complex range of interests within any given group and reinforces the idea that we need projects that provide more opportunities which exercise the potential for total inclusivity. Telling of a story is something most children love to do. Some I have found can find it difficult telling a story when they have to write it- for many different reasons. E.g. some might find spelling difficult and get so caught up on whether a word is spelt correctly or not hinders their story telling ability as they don’t get their story finished. The way in which the children were allowed to tell a story through art and music really developed confidence in not only the children who love writing stories but also in the children who find that hard. While doing this they were also developing their Drama skills- even though they may not have realised that. 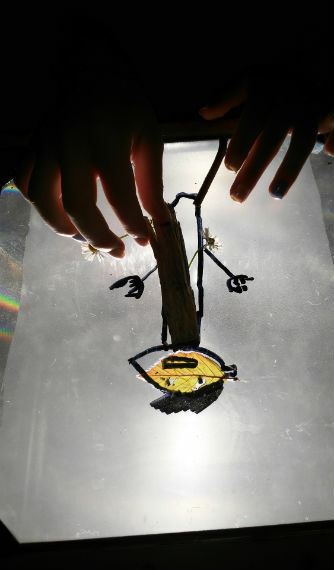 They were able to use their imagination and tell a story not only with their drawings but just by using environmental objects- again, allowing those who didn’t feel confident in their artistic abilities to still their artistic confidence by using environmental objects in an artistic way. It was something that they really enjoyed. They developed so many different skills by doing the project, learnt lots of new things without realising it. This process of choice supported confidence in its own right. The children learned through many different methodologies that suited all learners. Robbie and Annie facilitated so appropriately but still allowed the children to have responsibility for their own learning. Has anything changed in your work as a result of the project? It has changed the way in which I teach arts education as it reminded me how important it is to not only teach the subjects but to allow them to co-exist with each other, to use them together as a way to allow for further exploration as to what they can achieve when combined. This project has given me the confidence as an educator to give the children much more responsibility for their learning. 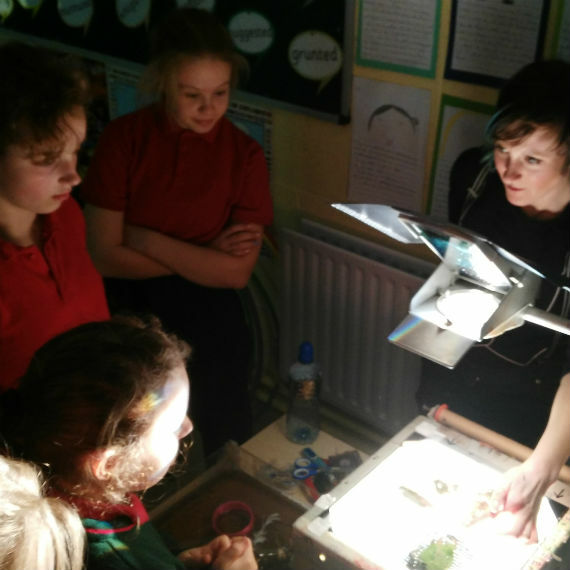 My Arts lessons are less structured which has resulted in a smoother flow to lessons. The power of integration throughout the Arts subjects was evident throughout the ‘Paddy Red Downey and the Voice in the Dream’ project hence I have increased integration throughout Drama, Art, Music and Physical Education. ‘Paddy Red Downey and the Voice in the Dream’ was a wonderful project where I witnessed children growing in self-confidence, learning and having so much fun! Robbie Perry creates music and musical instruments from electronic components, recycled technologies and abandoned or discarded objects. He works as a music facilitator with children of varying abilities and runs workshops on building musical instruments from practically everything that we find in our environment. A musician and composer with the group “Dead Can Dance”, Robbie has spent many years travelling the world learning about other cultures and gathering ideas for projects involving people and recycled technologies. Currently, he is completing his PhD on the use of music and technology to aid children of varying ability in the creation of art and self-expression. Robbie grew up in New Zealand and has lived in Ireland since the age of 17. Drawing from the experiences of traveling and meeting other musicians and educators, he has always chosen a path of self-direction in the field of music education. PhD research has allowed him to take his experience, and create unique and bespoke instruments that enable people with special needs and learning difficulties to play music interactively. His work has also brought him to collaborate with the Gonzo Theatre, whereupon he has composed and performed for several productions. Annie June Callaghan is a singer/songwriter. She also plays guitar and stomp box playing everything from original, folk, blues, pop, country, traditional, boogie-woogie. Annie June is also a member of the Armagh Rhymers. I am a primary school teacher in St. Clare’s. I taught 5th class last year and I am currently teaching Junior Infants. I enjoy teaching music and this project gave me lots of new ideas to explore in the classroom. I look forward to trying this idea out with my future classes. 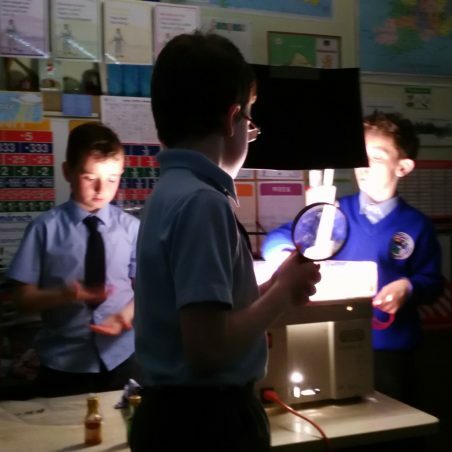 This project was run by the LAEP, funded by the CMETB in-kind with financial funding from the Cavan and Monaghan Department of the Arts and Environment. The rationale for the establishment and development of a LAEP in the CMETB region is to nurture and support new relationships that will develop a shared responsibility for the delivery of arts in education that embraces visual, performing and literary arts.